Scarpa W with two sliding doors, one of the doors is composed of a mixture of walnut and oak pieces, creating a three-dimensional pattern. Crafted from high-quality and certified materials, scarpa w emphasizes the traditional joinery techniques. 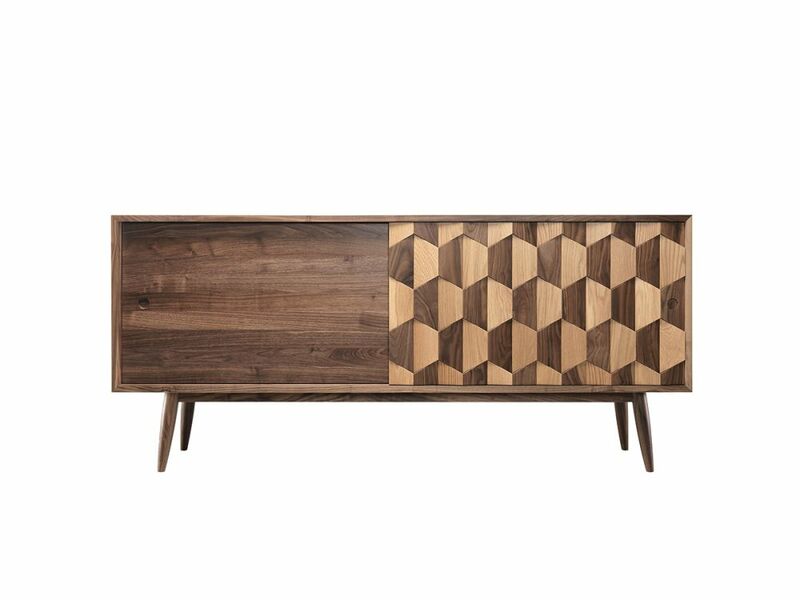 with the structure and interiors in 100% solid walnut, scarpa is a rectangular sideboard with an unique design, which offers two drawers and four divisions with a great and useful area, allowing to storage any type of objects. With two sliding doors, one of the doors is composed of a mixture of walnut and oak pieces, creating a three-dimensional pattern. Upholster inside drawers, adjustable or removable shelves.